The time for reckoning is here… according to some televangelists. Tonight’s celestial event is a blood moon, a rare lunar eclipse in which the moon creeps into the darkest part of Earth’s shadow and receives only “sunset light” turning it red. The complete event lasts about 5 hours but the moon will be at its bloodiest at 12:07am PT, 1:07am MT, 2:07am CT, 3:07am ET. Tonight’s eclipse starts a tetrad of events that will happen every six months (or so) between now and September 2015. Cue the doomsday chatter. 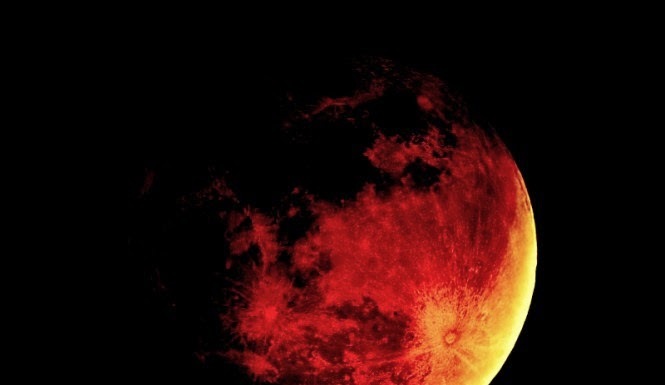 John Hagee, the controversial founder of the Texas Cornerstore Church believes that this tetrad heralds a “world-shaking event” that may signal the end of times prophecy – and literally wrote the book on it. He cites Acts 2:19-20 as a sign: “And I will show wonders in Heaven above and signs in the Earth beneath, the sun shall be turned into darkness and the moon into blood before the coming of the great and awesome day of the Lord.” Interestingly, all four blood moons will also take place during Jewish holidays, and he doesn’t believe that’s a coincidence either. Regardless of whether this is a true omen (or not), you’ll have three more opportunities to see the blood moon for yourself on 10/8/15, 4/4/15, or 9/28/15. For the actual scientific explanation, see the video below, and if it’s cloudy in your city, check out Nasa.gov for live streaming.